Hey kids… December is the twelfth and the final month of the year and it holds a very special place for all you kids. What makes it so special…? Yes, it is none other than Christmas which brings happiness, joy, fun, celebrations and lots of, lots of gifts…… The annual festival of Christmas is also marked as the annual visit of the most loved and most awaited guest who never forgets to come and fulfill the little wishes and dreams of children. 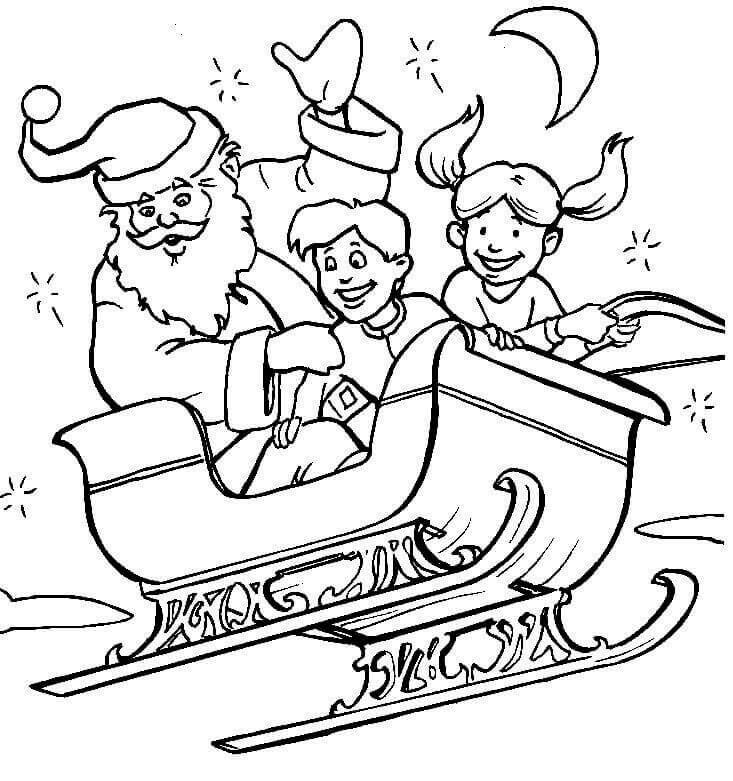 Once again this lovable guest, who is popularly known as Santa Claus, is coming on his sleigh. He is ready to unload his heavy bag filled with gifts. 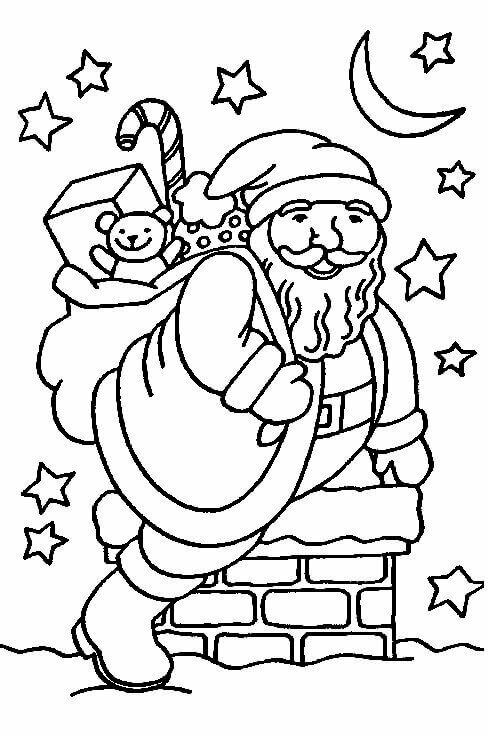 Once again the last month of the year is in full bloom and it’s time for you to exhibit your affection for dear Santa with our free printable Santa Claus coloring pages. 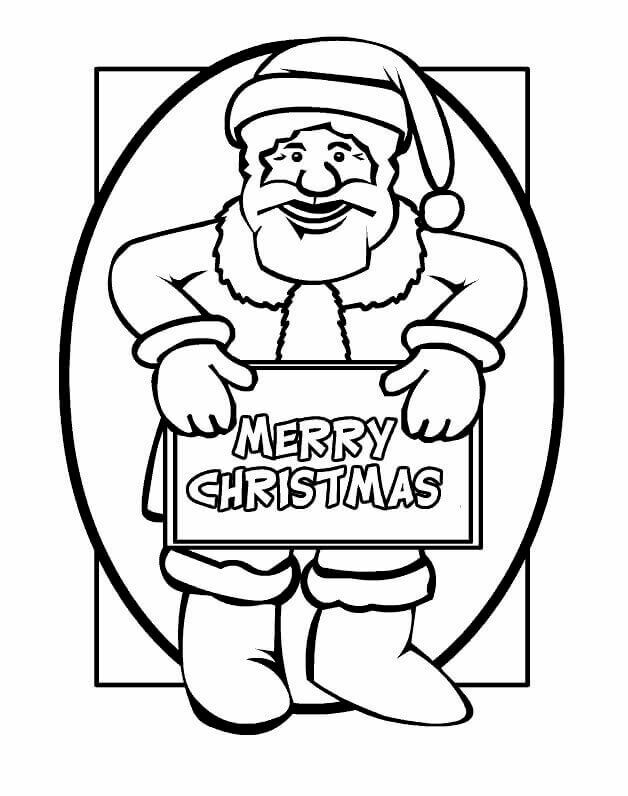 Check out our collection of free Santa Claus coloring sheets to print. Gifts are very precious and it becomes even more special when Santa himself gives it. Peku penguin is more than happy to see a gift pack which is almost his size. That is why he is welcoming it with open hands. Now it’s time for Peku to get off the sleigh and put the gift on it as the small sleigh might not carry the double weight. It seems the gift bag of Santa Claus is empty now. The Christmas tree needs some decoration. What Santa will do without gifts? Don’t worry he can spin magic and he has just spun a snowflake for decorating the Christmas tree. Many more items are on the way. 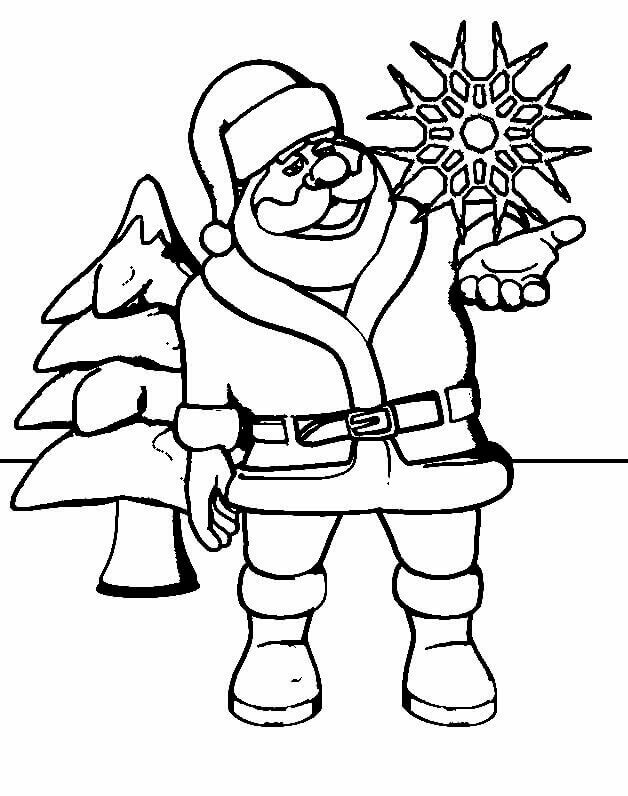 You can also join Santa by adding beautiful color to these items and show your creativity. 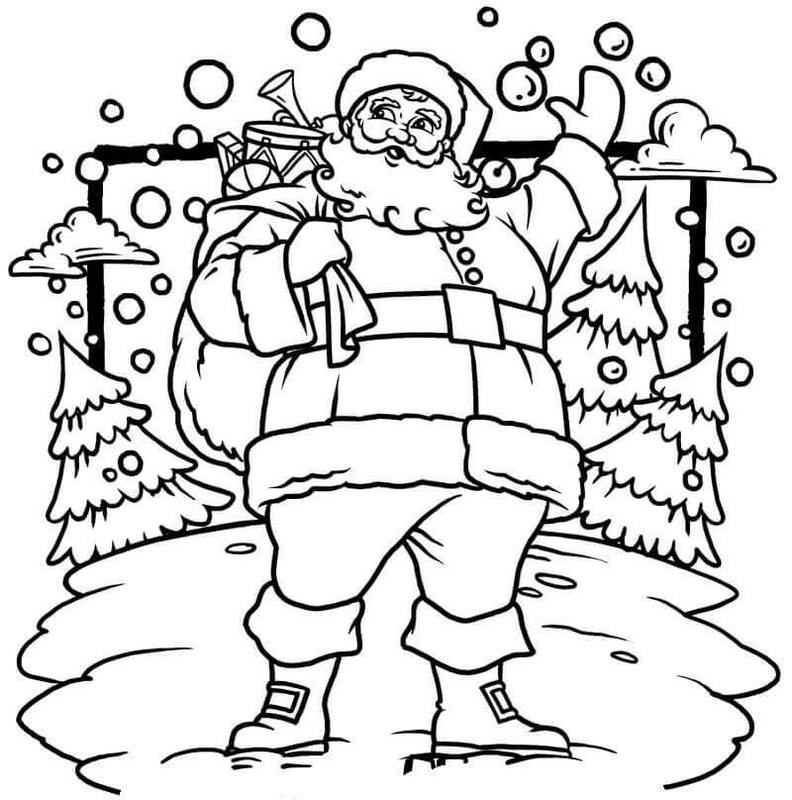 Do not forget to color Santa as snow has made his red dress look white. 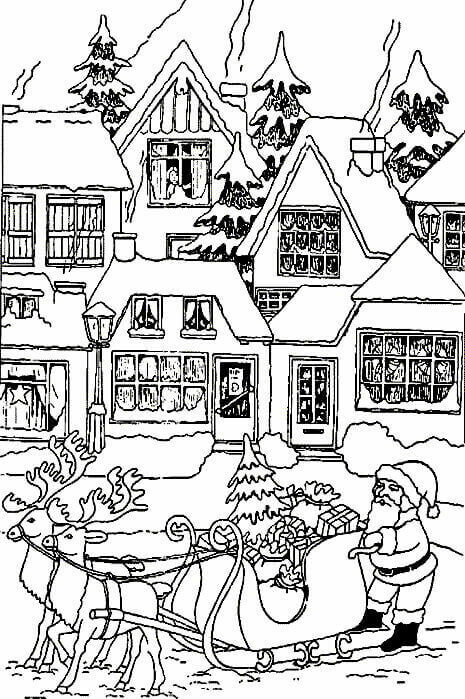 Dear Santa is bound by his promise to visit every house so he anyhow finds a way to enter the house. 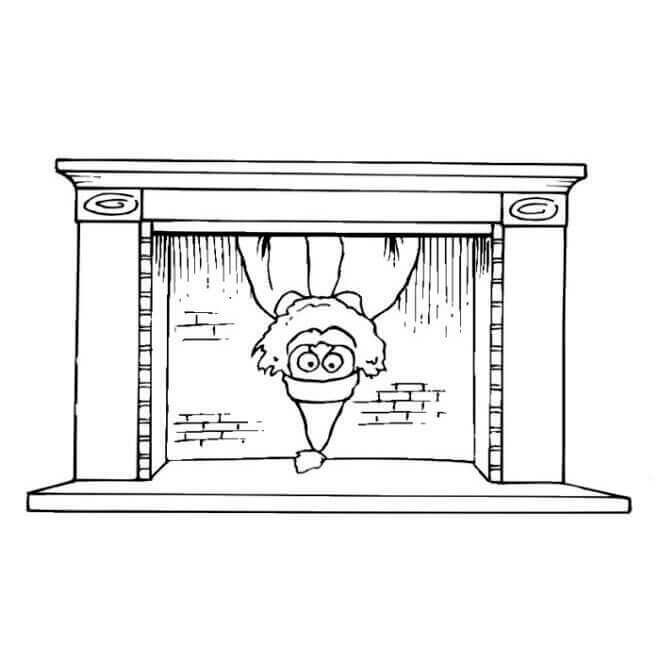 This time he decided to enter the chimney with head first to verify if he is entering the right house. As he looks little suspicious at reaching the fireplace, it is your time now to make him feel comfortable by splashing some beautiful colors on the moron theme of the room. We get to see Santa Claus only during Christmas and Christmas is celebrated on the same day everywhere. So ever wondered what Santa Claus does rest of the time. It seems that he is also fond of taking rest in free time by enjoying summer by the beach. He might be preserving the heat of the sun in his body so that he could fight the biting chill of December. This Christmas Jack and Jill went up the hill to meet Santa Claus. And what Santa did on seeing them? Every time Jack and Jill fell down from the hill while descending. But this time Santa Claus makes sure that they reach their place safely. So Santa decided to give them a ride to their home. Santa is also enjoying their company. Color the three to make them look more joyful. As Christmas is fast approaching, hurry up in making your wish list. 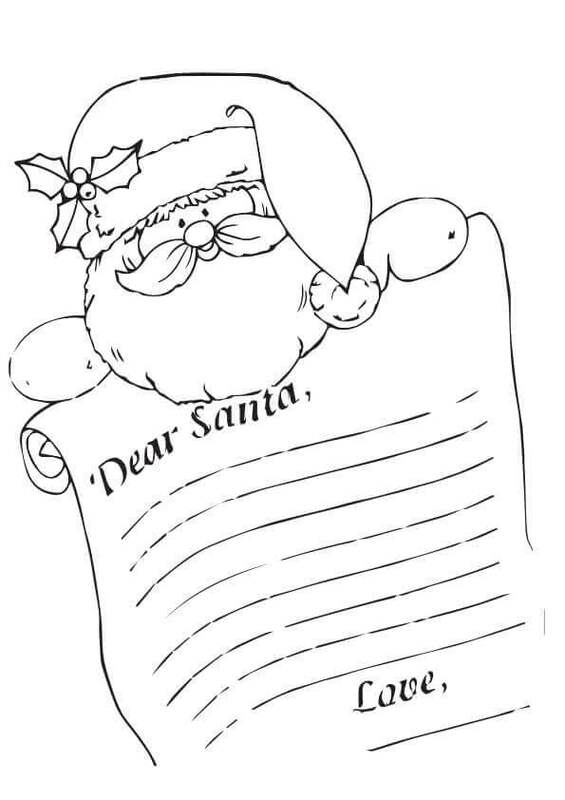 Write a beautiful note to Santa and don’t forget to mention how much you remember and love him. Santa definitely fulfills the wishes of those who believe in him and treats him as a messenger of God. It is Christmas so do not hesitate to ask for gifts. No doubt Santa is so energetic. After all, he travels around the globe in one day and grants the wishes of everyone. Ever wondered from where he derives this energy. 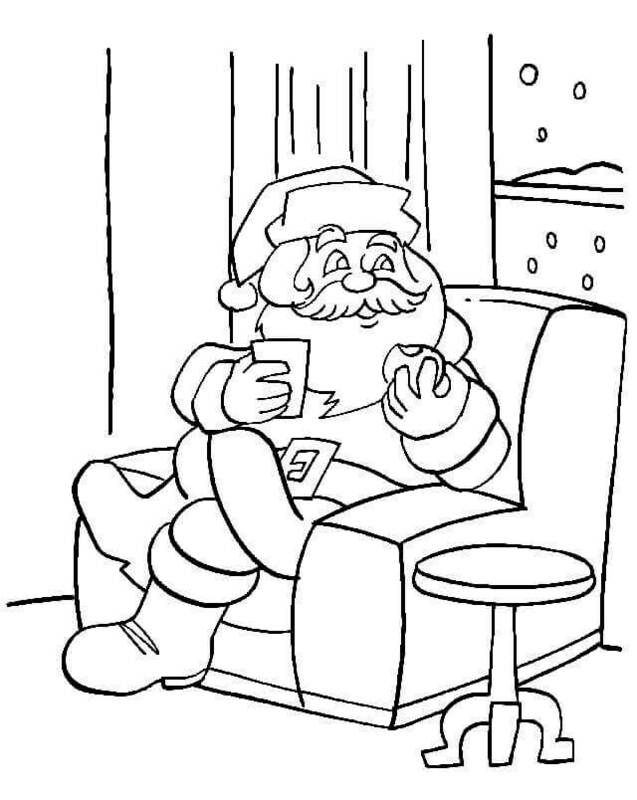 Behind his energy is Mrs. Santa living in the North Pole who makes sure that the day is started with a cup of tea and some muffins. This brewing tea is actually a herbal tea which is the secret of Santa’s strength. With the growing population, Santa feels the pressure of visiting each and every kid. So he has asked for a helper. A partner for life could also be a partner in good deeds. 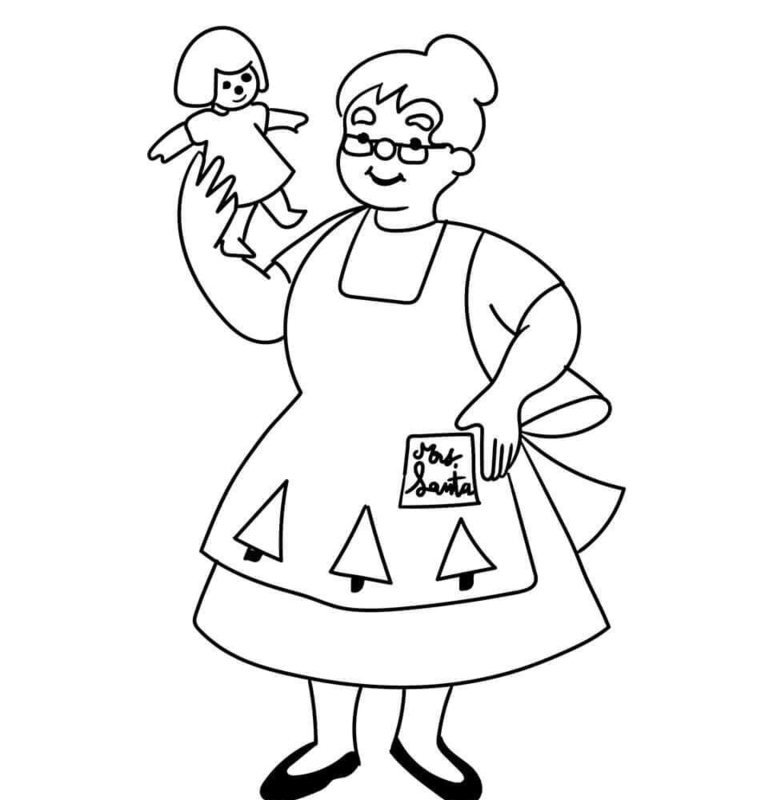 With a beautiful doll in her hand, it seems Mrs. Santa is gearing up for joining Mrs. Santa in his good work. What color do you like for her dress? Just add it to her dress. Santa Claus makes sure that the right gift reaches the right kid. How does he remember it when he carries so many gifts? The secret lies in the color of the gift packs. But it looks that Santa will get confused as the gifts are not wrapped in colorful papers. But not to worry as you are there to help him out. 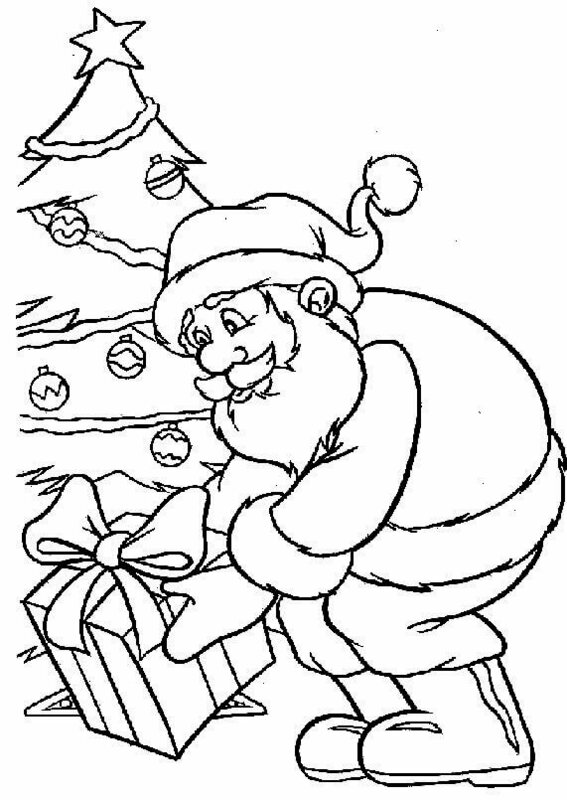 Just give each gift pack a different and attractive color and count them too so that Santa easily identifies them. The gifts distribution is over and Santa is heading towards his house. He is so tired that he looks sleepy. He can close his eyes and sleep as he does not have to worry about the way to his house. 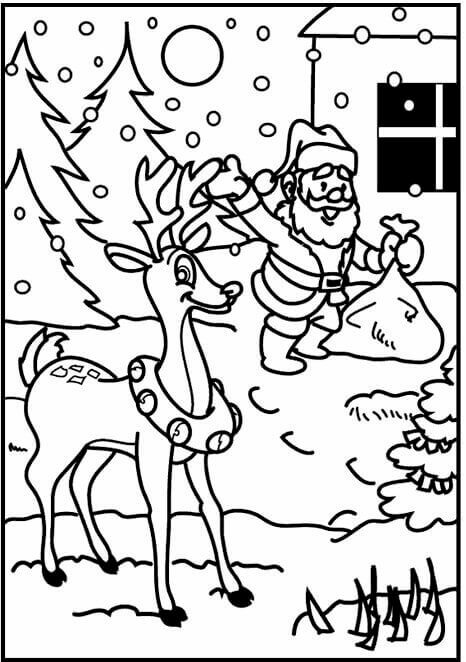 Rudolf the leading reindeer is well trained in his job and he makes sure that Santa reaches his house safely. 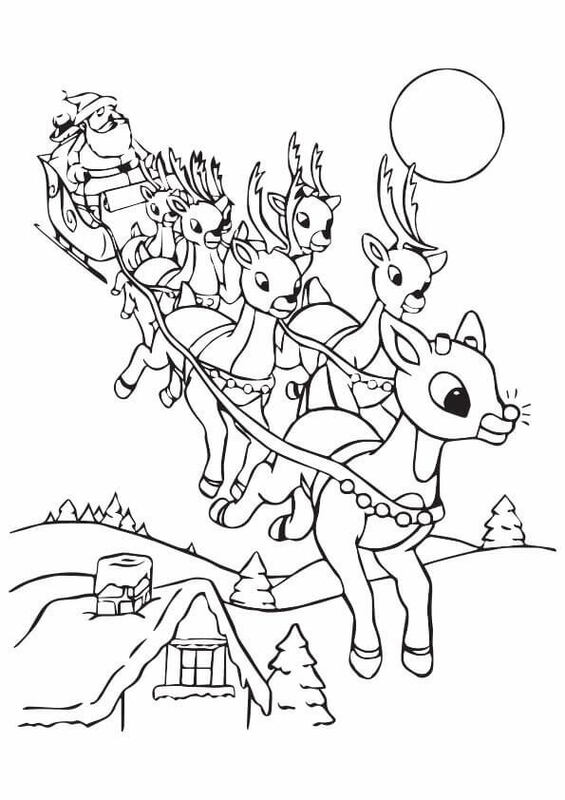 The leading reindeer should look different from the rest so color him differently. Santa is so caring and he makes sure that he gives the gift to everyone who comes in his way. 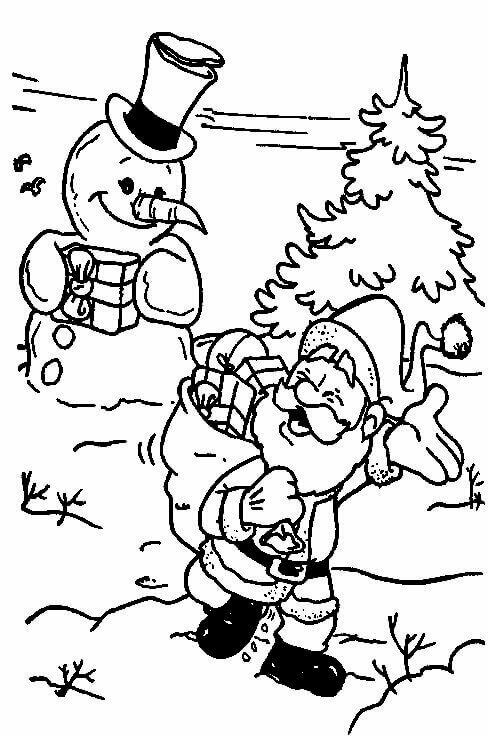 And he is right in giving the gift to snowman as he has helped the Santa in reaching the correct address. The smile on the snowman once again proves that gifts bring a smile to our face. Just add a pinkish shade to his cheek and he would look as if he is blushing. 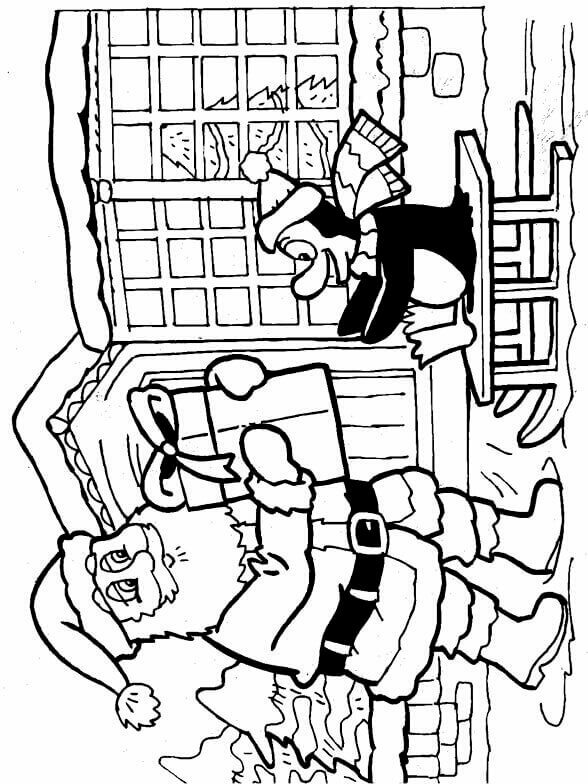 This is a perfect pose of Santa Claus as here he is putting his best foot forward. The starry evening of Christmas and a bag full of gifts assure that Santa has come all prepared. A selfie of the year before slipping into the chimney. With gifts, Santa will also share his smiles with everyone. There are so many houses to be attended by Santa. But not to worry as he has umpteen number of gifts. See his sleigh. It is loaded with gifts. Kids are eagerly waiting for Santa and some are glued to the glass of the windows trying to have a glimpse of Santa. When Christmas is approaching, we make different arrangements to make our place look like a celebration is going on. Same way Santa also has to come prepared. After dressing up he checks his accessories. Here he is checking his bell. 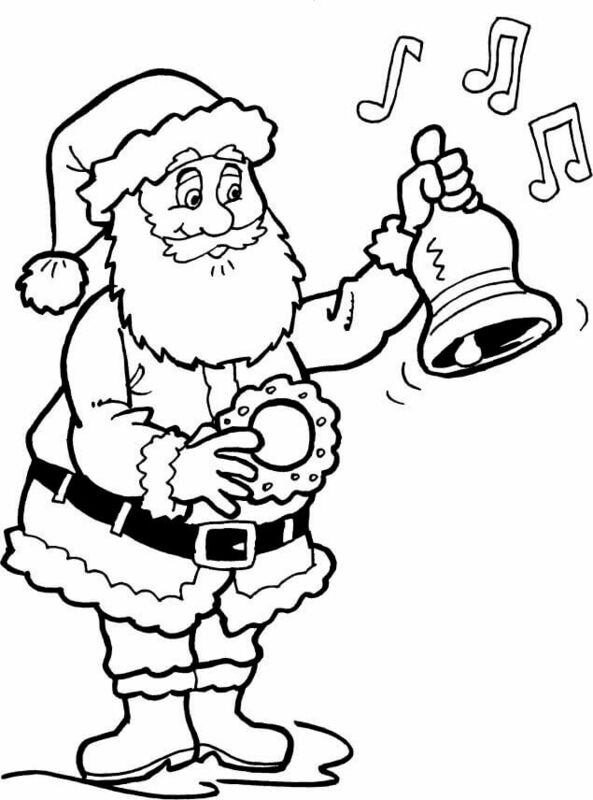 The rings of the bell are melodious and Santa is happy to ring the bell. After distributing the gifts, Santa is now free from his work. Still, one big gift pack is left with him. Santa was thinking of hanging the gift to the Christmas tree standing behind. But as the gift is heavy he has decided to place it near the Christmas tree and wished that a needy one gets the same. Hey all!! Next time when Santa visits you, make sure you are not dozing off. Invite him for a cup of coffee or juice or some snacks. 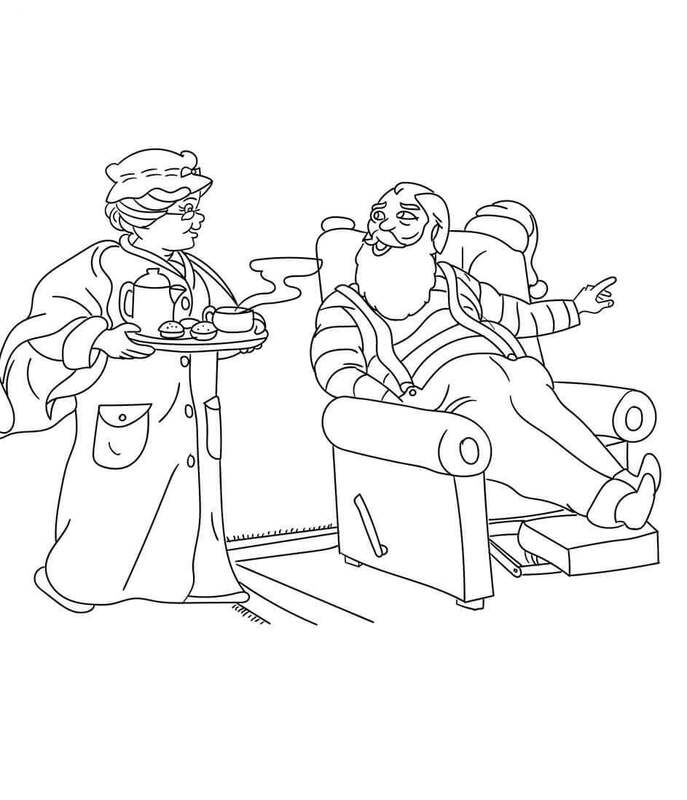 Indulge yourself in conversation with Santa. After all, he is serving us for ages, he might have some valuable or memorable talks to be shared with us. 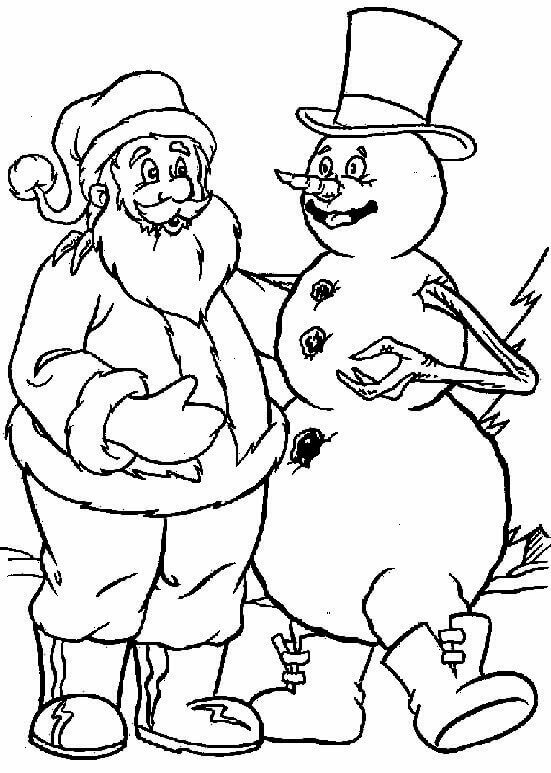 Here are the two important characters of the Christmas- Santa and the Snowman. The two never misses the chance to exchange greetings when they meet. It looks like some interesting talks are going on between them like about the plan of next Christmas or about exchanging their caps. Why Santa Claus enters through the chimney? Possibly it gives him warmth from the biting chill. It is snowing outside. 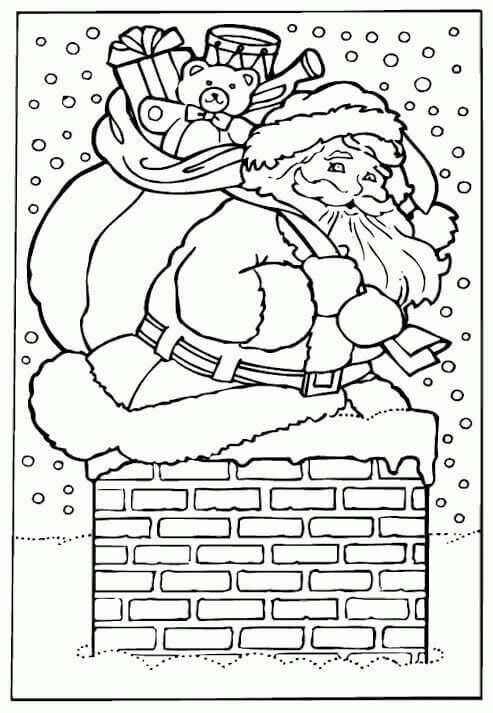 Though Santa looks very happy he might get stuck in the chimney as it looks narrow. But it will be easy for him if he drops his bag first and goes trembling after the bag. Santa Claus always tries to make everyone happy, be it a reindeer. So what gift Santa has given to this cute reindeer who exhibit his happiness through his smile. Actually, Santa has promised the cute reindeer that next year the reindeer would be given the golden opportunity to travel around the globe as he will be pulling Santa’s sleigh. As per the rituals, Santa puts the gifts in the stocking. But how will he manage when the gift is of that size- a wooden pony. The size of this gift will surely not fits into the stocking. The stocking is already full of other gifts and there is no place to put pony and the ball in it. The best place is to put these items near the Xmas tree. 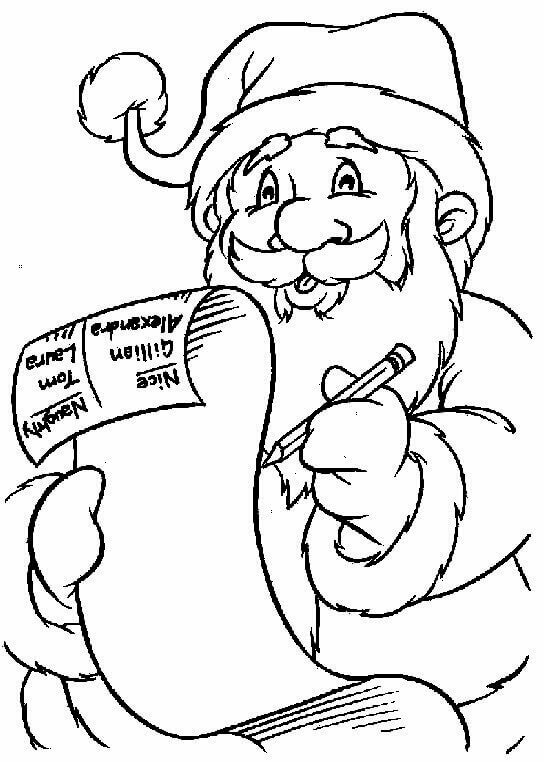 It is the checklist that helps the Santa in keeping track of his gifts. This list is very useful as Santa has mentioned the name and address where the gift is to be delivered on it. He is ticking the addresses he has already covered to make it easy for him. He is actually using a pencil as the ink of pen might freeze in this cold. This is how Santa appears in our dream. The beautiful smile and the gleam of his eyes assure us that he is there to fulfill our wishes. Just close your eyes and feels his presence around you. His affection reflects from his eyes. 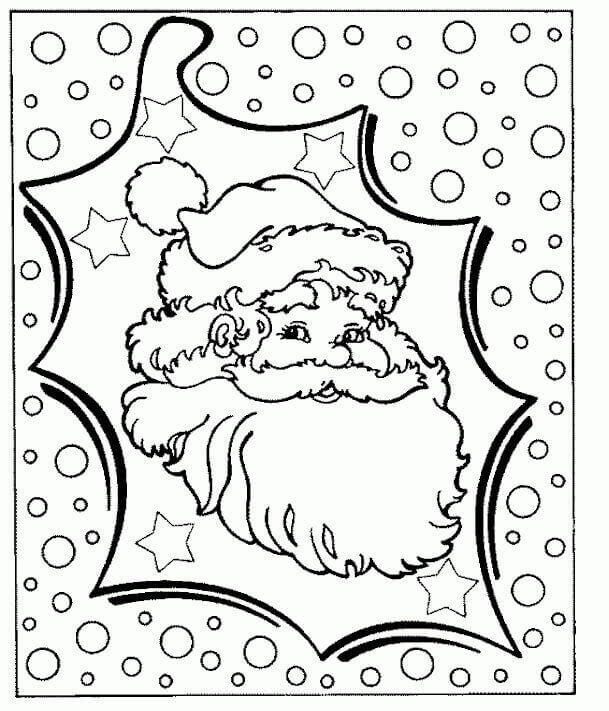 Santa is no less than a magician and this image is trying to prove it. But here the story is a little different. It is very difficult to reach Santa for a creature as small as a caterpillar. So he dropped himself into the cup in Santa’s hand. But still, he is finding it hard to make Santa understands his wishes. See how long he has to stretches himself to reach Santa’s ear. Good health is good for all and Santa is no exception of it. Cycling is one of the best ways to stay in shape and Santa has taken it seriously. 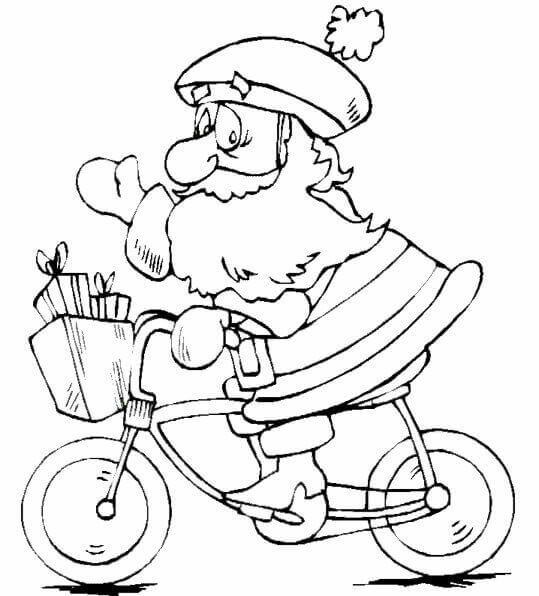 But dear Santa it is advised that do not come on cycle in Christmas as the cycle has very little space to stack gifts. Moreover, you will get tired soon in a cycle. 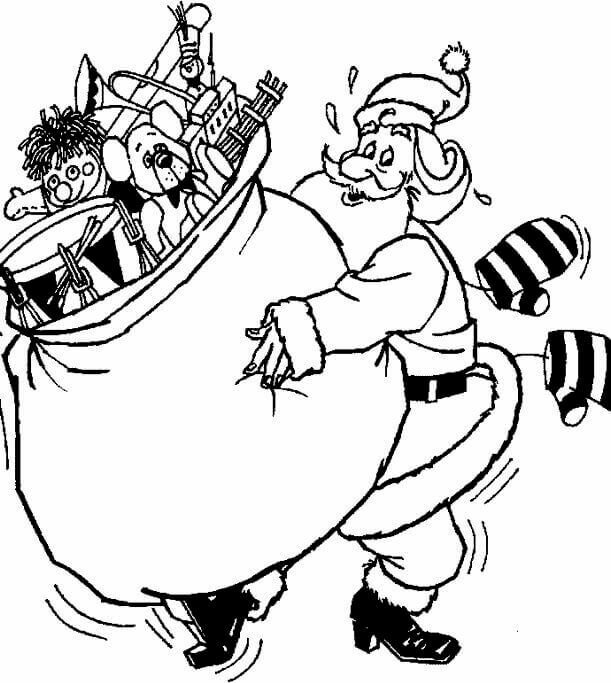 Santa has come decked up and loaded with the gift bag. The time to gift distribution is about to start. What a better way to start the expedition by entering the chimney in this cold weather. He will simply roll down the chimney without much effort. 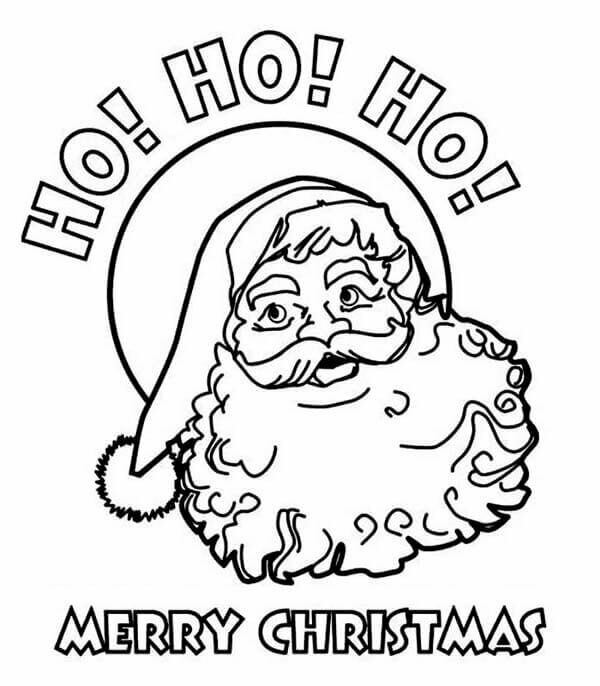 Paste this picture of Santa in your room and pray for the fulfillment of your wishes. The words Ho Ho Ho written there is actually the way Santa laughs but it can also be taken as an assurance by Santa that he will grant your wishes. 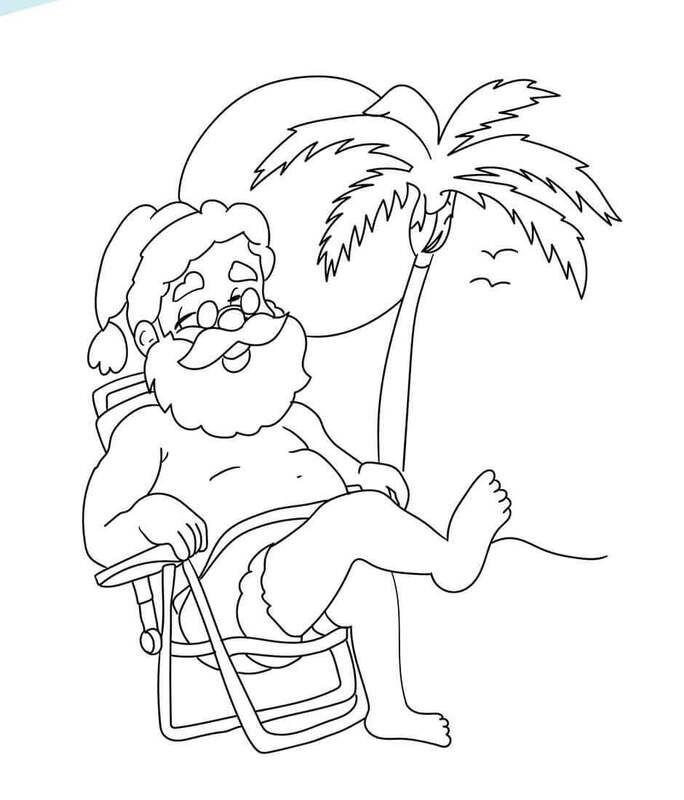 Santa does not sit idle in free time. He completely makes use of the free time actively. He is practicing skiing so that he could participate in the annual winter sports championship. 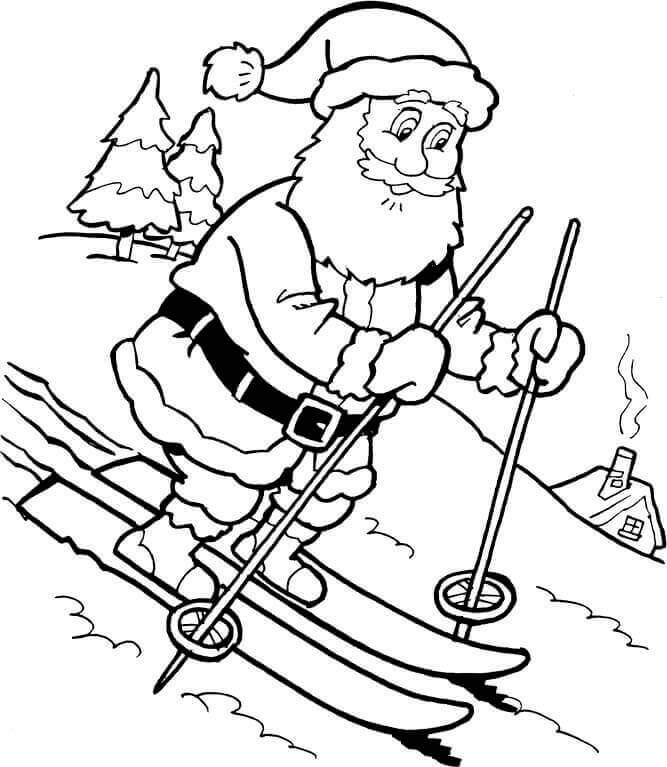 Maybe next time we see Santa skiing his way on Christmas. When Santa himself wishes Merry Christmas then the Christmas is definitely going to be a memorable one. 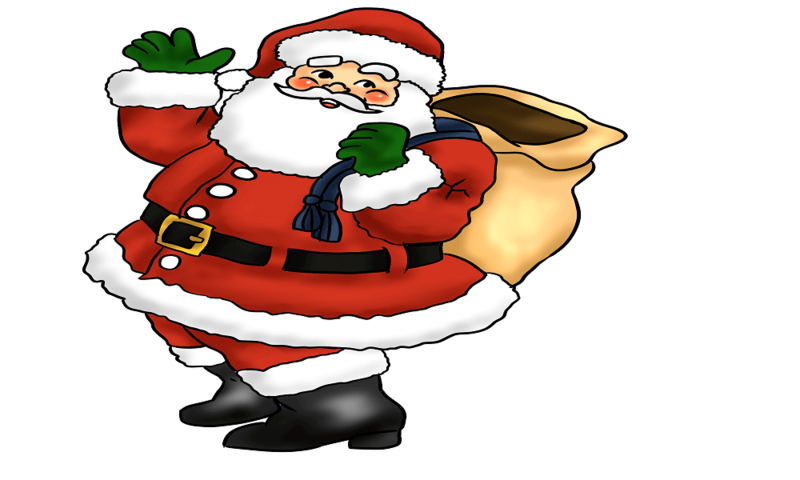 Welcome the Santa with great respect and aplomb as he is the one who takes care of your wish list. And do you know what is behind Santa? It is nothing else but his bag full of gifts for all your lovely little munchkins. Just have a look at the size of the gift bag. It is definitely not easy for the Santa to carry such a heavy bag. The weight has made him sweat and he has to get rid of his gloves for a better grip on the bag. After all, he is carrying the hope of millions. Watching the confidence of Saint Nick aka Santa Claus in this image is a visual treat. His bag is ready, he is properly dressed up and his raised hand indicates that he has given a signal to reindeer to bring his sleigh. 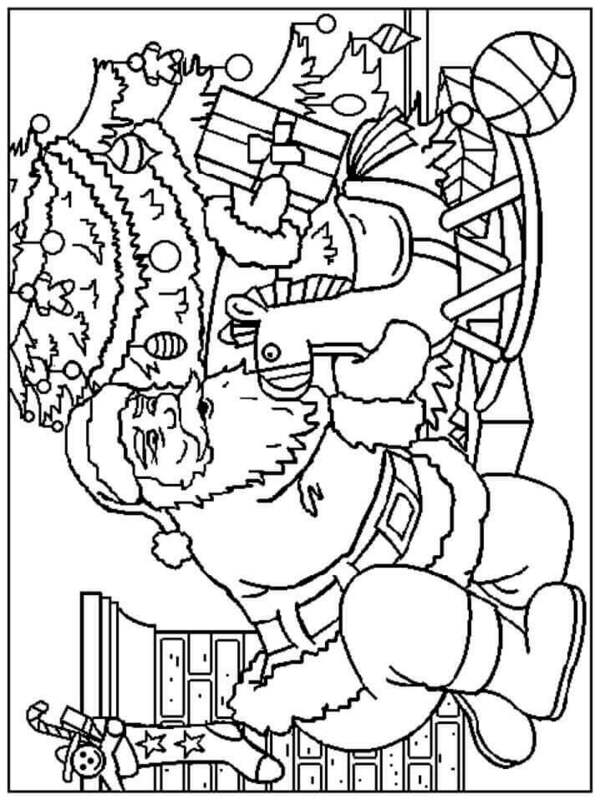 So kids get ready to welcome Santa but first make him colorful, full of life. Santa Claus is a mythological character who comes every year in the last month to make us realize that the journey of one year ends with a positive note. 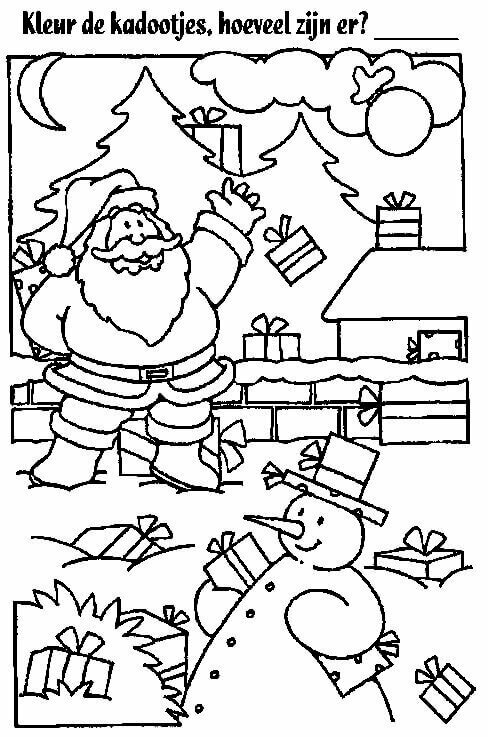 As you feel happy filling these Santa coloring pictures, just think what would be the intensity of your happiness if you put efforts in adding color to others life. We should pray that Santa always finds the way to our home.